What a great football weekend and Sunday lazy was the way to go saw Patriots Day, and filled out the rest of the day with playoff games so whatever we were going to eat had to be easy. I made two hot crab dip casseroles dishes one for fire pit night and the other for football, perfect 1 prep two appetizers. 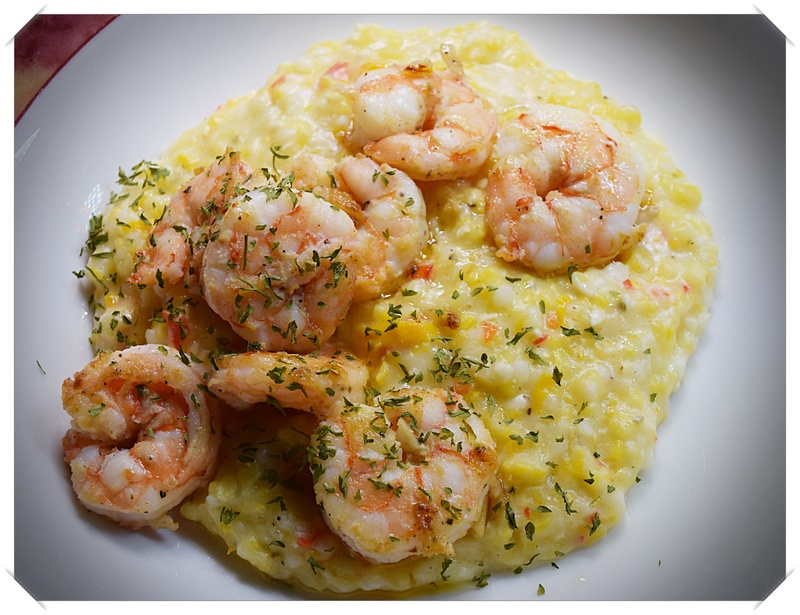 Sunday was I was so lazy… I explored the idea of making shrimp and grits for game time finally deciding on cooking them in the Instant pot, but since I only tried them once before with so so results I vowed to accept the results using my favorite Anson Mills antebellum grits a mix of yellow and white this time. I was not disappointed creamy and loaded with added flavor from a bit of garlic, Cajun seasoning, parmesan cheese and mascarpone cheese definitely a keeper. With the Instant pot ready for grits including the little rack and an additional bowl insert the grits were ready in about 25 minutes and ready for the cheeses, butter and about another 5 minutes covered until halftime. You can see the results, but keep in mind all grits are not alike and results vary with Anson Mills antebellum grits a coarse version needs additional cooking time so consult many sources for fine grits on their cooking instructions. Anson Mills offers several types of grits and they are very helpful if you have any questions. I never liked grits until I found their brand and of course I really never cooked them so I started with their slow cooker version which I’ve always loved, but it is at least 2+1/2 hours cooking time before adding final ingredients. Most recipes call for soaking the coarse grits this is not necessary, but then again check your brand’s instructions or explore online sources. Ready the Instant Pot…place rack accessory in pot and another appropriately sized bowl or in my case a 7 1/2″x 3 1/2″ soufflé dish. Add salt and three cups of filtered water, cover and seal pot and manually set to high pressure for 26 minutes. I let the pressure come down slightly then used the quick release method. Stir in the cheeses, butter season to taste, cover and allow to sit for 5 minutes. 1 pound, peeled and deveined shrimp seasoned with a bit of Cajun seasoning and 1 fat clove minced garlic, and some lemon zest, rill or sauté, serve over grits and add chopped fresh parsley or slice green onions.